We are deeply honored to have clients share their views on positive outcomes and experiences working with us. We are motivated by teaming with executives to move their challenges to resolution, improve their businesses and increase their shareholders’ value. When our clients succeed, we succeed, and we greatly appreciate their perspectives here. Working with the EVP/CFO and CAO of RadNet, a public company providing diagnostic imaging services, we delivered GAAP-compliant financial statements, post-acquisition accounting integration, and SEC filings. “Startups have a million things to focus on, all at the same time – sales, marketing, production, execution, customer service and more. While all need to be done, it’s important for us to have a financial understanding of how we’re doing and growing. “We wanted to work with a financial expert to help us develop a financial model that we needed in a very short time – both to identify financial anchor points on which to focus and to support raising funds. “We wanted a professional who is trustworthy, an expert in finance and accounting, and experienced in financial modeling. 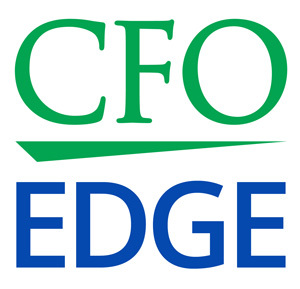 Art Rothberg of CFO Edge fit all three of our requirements. “From the beginning, the specificity of Art’s questions showed he knew what he was talking about, as well as how to get us where we wanted to go. “He had a good grasp of our costs, sales and revenue goals – and he helped us understand how to hit those goals in ways that are realistic from both financial and operational standpoints. “Art provided us with a compelling financial model that has helped us further our business and communicate it in a financial language. “We engaged with Art Rothberg and CFO Edge on a large volume of acquisition accounting work that needed to be completed in a compressed timeframe. He reviewed our numbers to determine the number of years that needed to be audited and prepared us both for the audit and for required SEC filings. “Revenue recognition was a significant portion of the work at hand, and Art brought deep expertise in addressing complex software and multiple element arrangements accounting rules. His recommendations on a new accounting pronouncement provided helpful flexibility in our reporting. “In addition to working closely with us on the defined project, he trained our staff on how to recognize revenue and do foreign currency accounting so that we now have the needed expertise in-house. “We were looking at a reverse triangular merger with a NASDAQ-listed foreign issuer, and we brought Art Rothberg in to prepare us for a three-year audit. In the process of making our books current and preparing for the audit, he also looked at the opportunity and conducted a business case evaluation. “His discovery and assessment process uncovered significant operational issues that – coupled with a detailed cost/benefit analysis – demonstrated the merger was not in the best interests of our company, and we decided not to move forward with it. “Because we did not complete the public deal, we were not required to do a three-year audit. We retained Art to do the audit for the current year, and we again retained him for the subsequent year’s audit. He also has worked with us to recruit and train a Controller, write accounting principles, and implement significant internal controls that we had not had before.